Need to send us a note? We want to hear from you! The LARGEST indoor trampoline park in Louisville - an ideal kids birthday party place or to play dodgeball. Like Altitude Louisville on Facebook to know all the specials and daily information! The indoor jump zone is a 41,000 square foot, indoor trampoline park with jumping activities including dodgeball, sports and fitness programs, competitive jumping, and just plain, old-fashioned jumping fun. An ideal place for kids birthday parties. 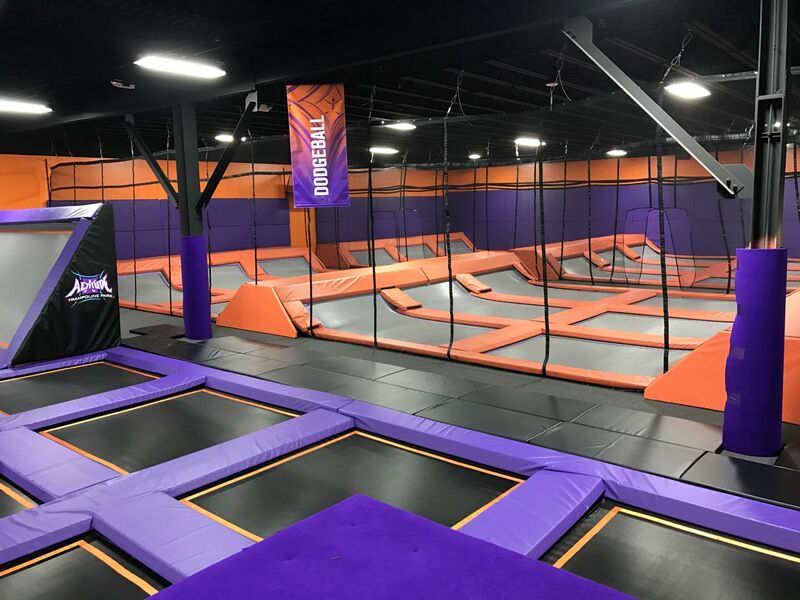 The trampoline house includes such activities as a foam pit, gymnastics tumble tracks, toddler area, basketball dunking lanes, dodge ball and fitness classes. Altitude Trampoline Park Louisville is the twenty-first location of the Altitude family offering high-energy and exciting entertainment activities. Altitude Louisville is a fresh, new entertainment option for groups and individuals to have active fun located at 4420 Dixie Hwy, Louisville, KY 40216. Book your kids birthday party place! DON'T FORGET TO BOOK YOUR NEXT BIRTHDAY PARTY WITH US!